Summary: Researchers report hereditary factors lie behind adults with ADHD that develop binge eating and alcohol dependencies. It is principally hereditary factors that lie behind adults with ADHD often developing alcohol dependence and binge eating. This is the conclusion of a doctoral thesis from Linköping University. Since heredity plays such a large role, it is important that ADHD is treated at an early stage, and that measures are taken to prevent individuals developing these disorders later in life. Attention deficit hyperactivity disorder (ADHD) has received most attention in children, but 2.5-5% of the global adult population also has ADHD. Andrea Johansson Capusan, consultant in psychiatry, focusses in her thesis on binge eating and alcohol dependence in adults with ADHD symptoms. Both disorders are more common in adults with ADHD than in the general population. Andrea Johansson Capusan has investigated in particular how much of the correlation between the disorders can be explained by hereditary factors and how much by environmental factors. The Swedish Twin Registry has enabled her to compare identical twins, who share 100% of their genes, with fraternal twins, whose genetic makeups are no more similar to each other than any pair of siblings. Twin pairs grow up in the same environment, but are affected by individual environmental factors, such as diseases and their circles of friends. In twin studies, researchers investigate whether correlations are stronger in identical twins than in fraternal twins. 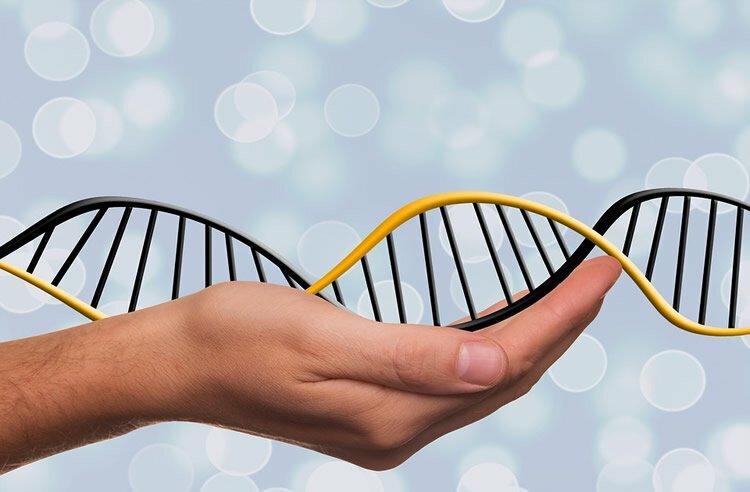 This can help them to determine whether the correlation between different conditions can best be explained by a person’s genetic background giving higher susceptibility to a condition, or whether environmental factors are significant. The four studies that are included in the thesis have examined more than 18,000 twin pairs aged between 20 and 46 years. The twins have completed questionnaires about the ADHD symptoms they have experienced, their consumption of alcohol and other substances, and binge eating behaviour. “We have shown for the first time that the correlation between ADHD symptoms and binge eating in women depends mainly on a common hereditary susceptibility for the two disorders. Much of the correlation between alcohol dependence and ADHD can also be explained by genetic factors. The remainder of the correlation is explained by environmental factors that are particular for the individual, which is interesting. It seems that having a common environment while growing up is not significant,” says Andrea Johansson Capusan. Attention deficit hyperactivity disorder (ADHD) has received most attention in children, but 2.5-5% of the global adult population also has ADHD. Andrea Johansson Capusan, consultant in psychiatry, focusses in her thesis on binge eating and alcohol dependence in adults with ADHD symptoms. Both disorders are more common in adults with ADHD than in the general population. Andrea Johansson Capusan has investigated in particular how much of the correlation between the disorders can be explained by hereditary factors and how much by environmental factors. Neurosciencenews image is for illustrative purposes only. Since her research suggests that certain individuals inherit a susceptibility for both ADHD symptoms and dependency disorders or binge eating, Andrea Johansson Capusan believes that these problems must be treated in parallel. “When treating adults who come with dependency disorder or substance-abuse behaviour, it’s important to remember that ADHD is very common in these patients. And conversely–it’s important to treat ADHD early in order to prevent alcohol dependence and binge eating later in life,” says Andrea Johansson Capusan. Original Research: The thesis: “Environmental and Genetic Influences in Attention Deficit Hyperactivity Disorder (ADHD) and its Comorbidities”, by Andrea Johansson Capusan, Linköping University Medical Dissertation No. 1522. The thesis was defended on 2 September 2016. Linköping University. “Heredity is a Major Factor in ADHD, Binge Eating and Alcoholism.” NeuroscienceNews. NeuroscienceNews, 5 September 2016. Linköping University. “Heredity is a Major Factor in ADHD, Binge Eating and Alcoholism.” http://neurosciencenews.com/addiction-adhd-genetics-4965/ (accessed September 5, 2016).